Texas' population has grown faster than any other large state's this decade, and when it comes to tornadoes, that growth poses an increased threat to residents. 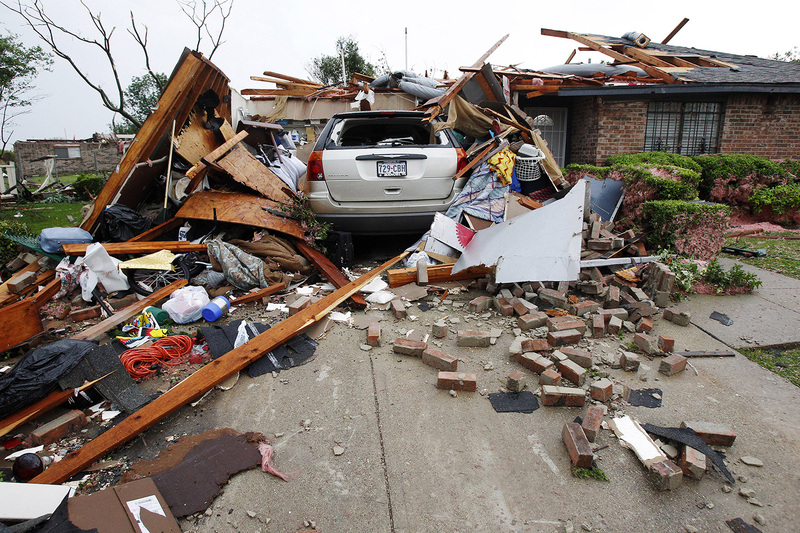 The Dallas-Fort Worth tornado outbreak on April 3, 2012, was just one example of how much damage can be done to expanding metropolitan areas. Mark Fox cringes every time he relives the day his worst weather nightmare came true. 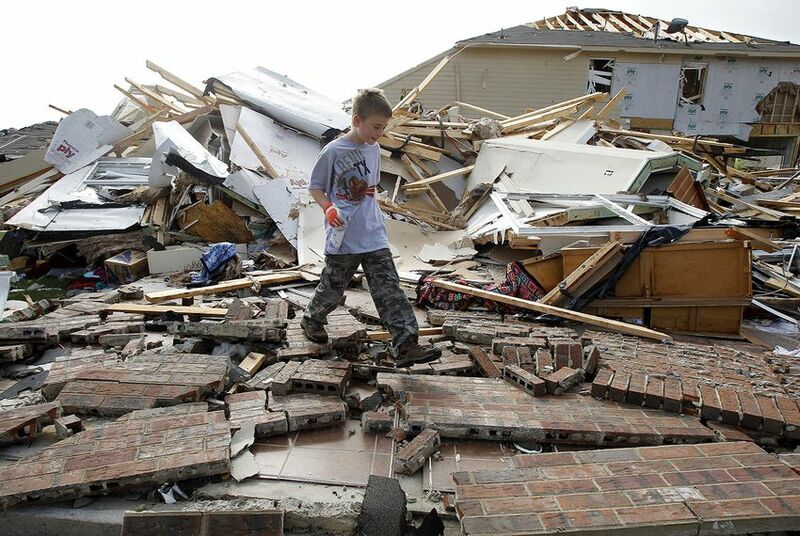 April 3, 2012, was a hot and humid day in North Texas, and the unstable atmosphere spawned 17 tornadoes in five hours in the Dallas-Fort Worth area, one of the most destructive tornado outbreaks ever in Texas. The storms flattened neighborhoods, ruined elementary schools and took out approximately 110 airplanes at Dallas/Fort Worth International Airport, causing more than $700 million in damage overall. Fox has worked as a meteorologist in North Texas and the Panhandle — the bottom of the country’s infamous Tornado Alley — for nearly 20 years. As the warning coordination meteorologist at the National Weather Service’s Dallas-Fort Worth office, he’s tasked with deciding when a storm is dangerous enough to warrant an emergency alert. More than 8.8 million people live in the 46 counties that Fox oversees — and 2.2 million of them have moved there since 2000. That means more people live in harm’s way. "The more we grow and the more targets we give the storms, the more targets they can hit,” Fox said. Texas' population has grown faster than any other large state's this decade. It’s been the nation’s growth center and has shown no signs of slowing down, according to Steve Murdock, former director of the U.S. Census Bureau. For Fox, this means the tornadoes that he’s spent his whole career tracking can destroy more lives than ever before. Some suburbs around Dallas and Fort Worth have doubled in size over the past 20 years. Others have tripled. To accommodate additional residents, new housing developments and businesses have sprung up in multiple cities. As a result, the recipe for disaster that Fox fears has already begun, as tornadoes have struck densely populated communities that simply didn’t exist a few years before. The environment was ripe for severe weather on April 3, 2012, as warm, moist air from the Gulf of Mexico rose north and collided with cold, dry air that rolled down from the Rocky Mountains. The first of four major tornadoes — rated as EF-2 or greater, with reported winds of more than 110 mph — touched down just south of Lancaster at noon. Within minutes, the tornado’s path ripped through several subdivisions within the city, injured 10 people and damaged or destroyed 173 homes — many of which were in neighborhoods that didn’t exist a decade before. The strongest tornado of the day struck Forney, a suburb 20 miles east of downtown Dallas. Forney has grown by more than 230 percent since 2000, adding 13,000 residents. At 2:33 p.m., an EF-3 tornado with peak winds of 170 mph tore through more neighborhoods, including the Diamond Creek subdivision, that didn’t exist a decade before. What made this day particularly rare, Fox said, was that there were tornadoes on both sides of the Dallas-Fort Worth metro area within such a short space of time. That hardly ever happens. Fortunately, no one died that day, something that Peter Morgan, Forney’s director of community development, still can't quite believe. "We had a number of buildings which were totalled. We had a number of buildings not standing," Morgan said. "We were just very lucky." That's a big reason why Forney adopted a new building code in May 2017 that Morgan said will ensure all new buildings will be able to withstand winds of up to 115 mph, or the equivalent of a weak EF-2 tornado. The majority of the city’s existing buildings, however, fall under an older code, which Morgan said only ensures buildings can withstand winds of up to 90 mph, or the equivalent of an EF-1 tornado. This means that the peak winds reported from the 2012 tornado could still destroy the majority of the structures in its path if it were to strike again today. In response to the various natural disasters that threaten the state — including tornadoes — the Texas Legislature has taken steps to help its communities recover more quickly. In 2017, a bill was passed that makes it easier for prescription drugs and other medical supplies to be transported to disaster areas. And in 2015, out-of-state businesses and employees working on disaster recovery became exempt from taxes and certain licensing requirements. Across the state, there have been more than 650 reports of tornadoes since 2013, ranging from Lubbock to Corpus Christi and from El Paso to Houston. Seventy of those have been EF-2 and above. Aside from luck, Fox said that earlier weather forecasts from improved radar technology allowed his office and other emergency agencies to start preparing for a potential disaster up to seven days in advance. Mobile radar apps, emergency alerts, NOAA Weather Radio, warning sirens and social media were all used to communicate the warnings to residents. After seeing the destruction across his city for himself on April 3, 2012, Dallas Mayor Mike Rawlings said it was a miracle that no one was killed by the storm. Texans may have to hope for more miracles in the future. Disclosure: Steve Murdock has been a financial supporter of The Texas Tribune, a nonprofit, nonpartisan news organization that is funded in part by donations from members, foundations and corporate sponsors. Financial supporters play no role in the Tribune's journalism. Find a complete list of them here.